Ana Mata is the Managing Director and founder of MatBlas. she is one of the most sought after pricing actuaries in the London Market, but her worldwide experience, combined with her candid approach to business, have made her respected and trusted among clients in the USA, Bermuda and Europe. Ana has held senior pricing roles both in insurance and reinsurance companies in the US and in London, working with a broad range of classes of business (Financial Lines, Casualty, Property, Energy, Marine, Engineering & Construction and Title Insurance). Ana started her career as a consultant with KPMG in London where she worked in projects including asbestos reserving, reserving for London Market syndicates, extreme value modelling projects as well as in research projects involving reviews of solvency regimes across the world. In 2001 Ana moved to CNA Re in Chicago where she was the Pricing Actuary for Financial and Professional Lines. She worked alongside underwriters pricing and modelling reinsurance treaties and developing internal pricing models and benchmarks. In her last corporate appointment Ana was the Financial Lines and Casualty Pricing Actuary for ACE Overseas General (currently known as Chubb Overseas General) where she was responsible for supporting underwriters in the development and implementation of pricing frameworks and models for portfolios totalling $1bn across The UK, The USA, Europe, Asia and Latin America. 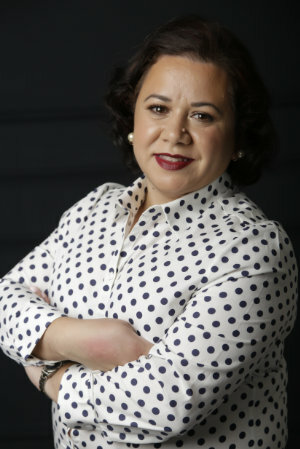 In 2007 Ana founded MatBlas and since then she has been working with insurance and reinsurance companies, managing agencies and brokers in a wide range of projects including profitability reviews, developing pricing models and benchmarks; developing end-to-end pricing and underwriting workflows and actuarial support on an ongoing basis. Ana is a well-known trainer and coach delivering hands on actuarial and statistical courses to hundreds of insurance professionals each year. Ana holds a Bachelor’s degree in Pure Mathematics from Universidad Simon Bolivar, Caracas, Venezuela, a PhD in Actuarial Mathematics from Heriot-Watt University, Edinburgh and she is an Associate of the Casualty Actuarial Society in the USA. Ana is a frequent speaker in actuarial conferences and has authored of a number of practical papers. She has been awarded the Brian Hey prize twice as co-author of the papers Pricing Excess of Loss Treaties with Loss Sensitive Features: An Exposure Rating Approach in 2002 and Analyzing the Disconnect Between the Reinsurance Submission and Global Underwriter’s Needs – Property Per Risk in 2017.